Kandi has been a Reiki Master Practitioner for 6 years and has 13 years of experience practicing Reiki. She became a Reiki Master Teacher in 2014. She is a professional member of the International Center for Reiki Training. In October 2016, she received her certification in Karuna Holy Fire ll from William Lee Rand, founder of International Center for Reiki Training; ICRT. She, and all her teachers have upgraded to Holy Fire III. In May 2017, she received her certification as a Medical Reiki™ Master with the Gold Standards & Practices of Raven Keyes Medical Reiki International and now offers Reiki in Pre Op & Post Op. This makes a huge difference in recovery for the patient, as well as comfort and peace patient and their family. Kandi has completed the Reiki & Medicine Intensive with Pamela Miles, a well regarded and experienced Reiki Teacher and Practitioner. She continues to develop her expertise in Reiki and shares the grace and peace of Reiki in her daily life as a Reiki Teacher and Practitioner, a Yoga Instructor, a friend, wife and mother. Reiki, like Yoga, is a spiritual practice that in the practicing, brings healing and health to body, mind and spirit. Reiki is a way of life. The joy of teaching is an ongoing inspiration in Kandi’s life. Maryland Center for Reiki Training was founded in 2015. MdCRT offers classes in all levels and leads you along an exciting path where you discover your unlimited potential to bring balance to yourself and others. This, in turn brings health to the body, mind and spirit. The 300th student has been celebrated and classes continue to fill. Mehmet Oz, MD has famously suggested, “ Energy medicine is the last great frontier in medicine.” Reiki is the ‘energy’ of love and balance. Kandi offers expert training in all levels of the Usui/Holy Fire III system of Natural Healing. Reiki changed my life! 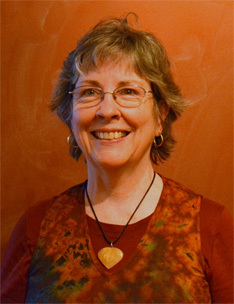 Linda began her Reiki studies in 1997 and completed her Master Training in the Usui Method in 2001. Reiki was a natural channel leading her to become a minister through the Universal Brotherhood Movement. She completed the Karuna Reiki Master Level in 2002 and in 2015 took Usui/Holy Fire through the Master Level. 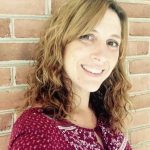 In 2016, she completed the Mentor program through Maryland Center for Reiki Training and is now a Master Reiki Teacher. In October 2016, she received her certification in Karuna Holy Fire ll from William Lee Rand, founder of International Center for Reiki Training; ICRT. In May 2017, she received her certification as a Medical Reiki™ Master with the Gold Standards & Practices of Raven Keyes Medical Reiki International and now offers Reiki in Pre Op & Post Op. Every level becomes more amazing! Since the first class, she has joyfully used Reiki in the workplaces, for family and friends, and provided private sessions as well. Teaching brings much satisfaction in empowering others and spreading the healing. She believes in Reiki every day, everywhere, everyone. It connects her soul with the Universe, with the day, with the moment, with others, and with her life purpose. It is a powerful yet gentle way to spread love and peace. 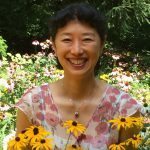 Miyako has been practicing Reiki since 2014 and became a Master Teacher 2016 after completing the Mentor Program through MdCRT. In May 2017, she received her certification as a Medical Reiki™ Master with the Gold Standards & Practices of Raven Keyes Medical Reiki International and now offers Reiki in Pre Op & Post Op. As a curious and adventurous girl in her twenties, Miyako started to take private meditation lessons in her hometown of Tokyo, Japan. Soon she was introduced to Yoga, QiGong, Tai Chi, Alexander technique, therapeutic massage, and healing touch. When she looks back, she realized she knew the power of touch since she was a child and has been using it for self-healing through all her life. Now she can call it Reiki. She loves teaching ( she teaches piano and yoga). 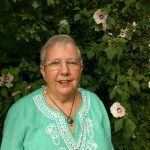 She recognized the teaching as her life mission, so she completed her certification as a Reiki Master Teacher through Maryland Center for Reiki Training and became a new addition to the MDCRT teaching staff. Beth Sherwood is a Holy Fire III Reiki Master. She has been practicing Reiki since 2016. She has also been a classroom teacher for many years and is currently teaching second grade. Beth has four children of her own between the ages of 4 and 12 years old. She loves giving Reiki to her own children at home and has seen the positive effects that it has had in their lives. Having lots of experience in working with kids, Beth is very aware of the changing and growing needs of children today. She believes that teaching Reiki to children is a great way to deepen their sense of self, and connect them to their own innate abilities. ” I cannot say enough positive things about Kandi, the owner, and the classes offered. The teaching style of the staff at MDCRT is warm, supportive, and loving. Learn Reiki. Select a class below to register today! Join our mailing list for announcements about upcoming classes, workshops, and events!